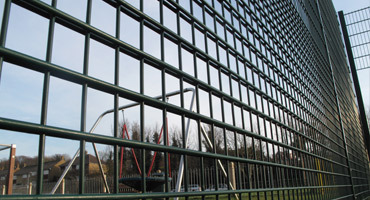 At Four Seasons Fencing we have a fantastic range of metal weldmesh fencing systems to suit a wide range of uses. We are the experts in all things fencing; please ask for our advice so that we can supply you with the best fencing solution to suit your needs. 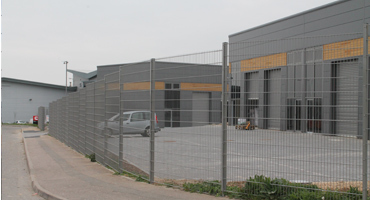 Where can our Weldmesh Fencing be used? 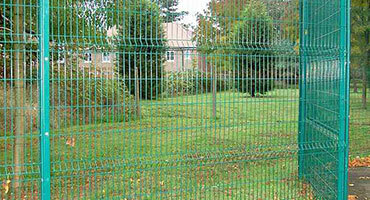 Welded wire weldmesh fencing is an extremely popular choice for recreational areas, in particular. Our sports rebound weld mesh fences are specifically designed to create a strong ball rebound, allowing the game to continue when the ball hits the fence. This is ideal for basketball and netball courts, football cages, tennis courts, hockey arenas and general playground areas. 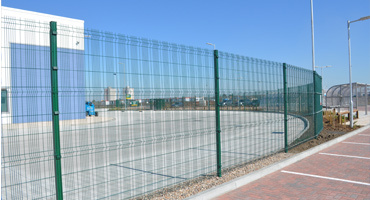 What are the Benefits of using Wire Weldmesh Fences? Strength: Our welded mesh panels are built up of strong metal properties, ensuring for maximum resilience against external objects, weather and people. 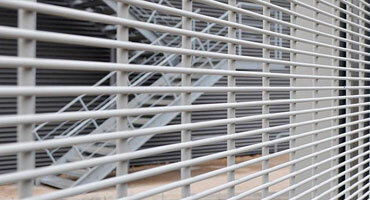 Weather friendly: The design of the wire mesh fence makes it lightweight – allowing wind to pass through. This reduces the chance of damage due to strong winds or stormy conditions. 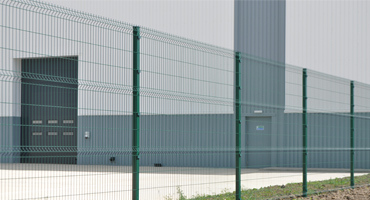 Visibility: The gaps created through the security mesh fence design enables for good visibility and especially CCTV, which is ideal for those who wish to obtain maximum security and survey the borders of their property for any potential trespassers. Spectator friendly: Spectators of sports games, for example, can watch and support from the side without interfering with the game. Low maintenance: Our products has been manufactured to be easy to maintain, endure regular use and most importantly, last a long time – so you won’t have to replace your fence every year! 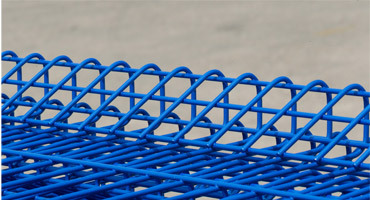 If you have any enquires about our excellent range of quality metal weldmesh fencing panels, please contact us on 01233 820240, via email, or by submitting an online enquiry. 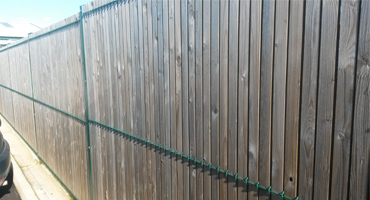 Our expert fencing team, based in Kent, will be happy to assist and advise you on deciding the best solution for you. As part of our service, we also offer you a free site survey with no obligations. 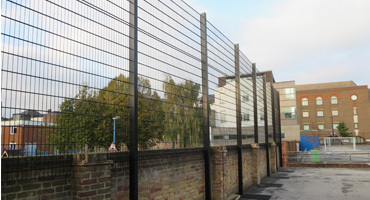 At Four Seasons Fencing, we have years of experience in manufacturing and installing weldmesh fencing across Kent and the surrounding areas – we can use this knowledge and valuable experience to help you and your fencing needs. 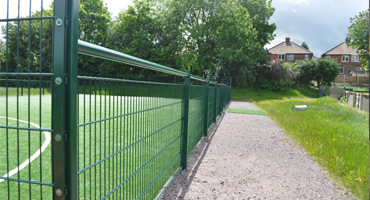 Other fencing styles that’s we stock includes Steel Palisade, Railway Fencing, Environmental Fencing, Hoardings & Site Fencing, Railings & Bowtop, Timber & Stock Fencing, Gates & Access Control, Crash Barriers, Bollards and more.